There’s a couple of computer games I’ve played recently that I thought I’d share with you so that you, too, can go play them and waste all your free time (hopefully you’ve got more free time than I do to be wasted!). Free (as in beer) to download and play – download it here. Windows only (requires the .NET framework), although there’s talk of a Linux port using Mono. 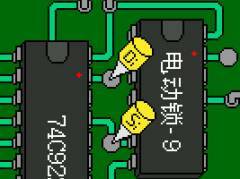 A self-confessed “game for engineers.” If you ever played Uplink and thought “Hmm, this is good, but I’d rather be hacking hardware, not software,” then you really ought to give it a try. Ruckingenur II is a hardware hacking simulator: in it’s four missions you’ll be determining the code of an electronic door lock, reprogramming a thumbprint scanner to accept your print, breaking the code of a (rather trivial) radio scrambling system, and defusing a tamper-proof bomb. It’s all about interpreting the circuitry and analysing signals, rather than simply bridging circuits, as would be so much easier in so many of the missions. Presumably your boss spent all of the money on the universal combined multi-meter/serial port analyser/debugger and didn’t have any budget left to get you a soldering iron and a half-dozen lengths of wire. Ah well. It’s only short. I got through all four missions in about 20 minutes, and I could probably have done it quicker if I hadn’t kept detonating the bomb at the end: the very first thing I did was to examine the circuit (while the clock is ticking), correctly analyse which wire carried the signal to the expolosive, and send a quick pulse down that line, confirming my suspicions by blowing my face off. Give it a go and let me know how you get on, fellow geeks. 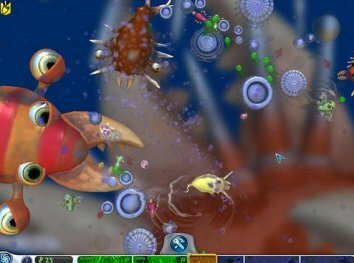 The other game that’s consumed any of my time of late – by which I mean, of course, all of the free time I can find – is Maxis’s hot new title Spore. 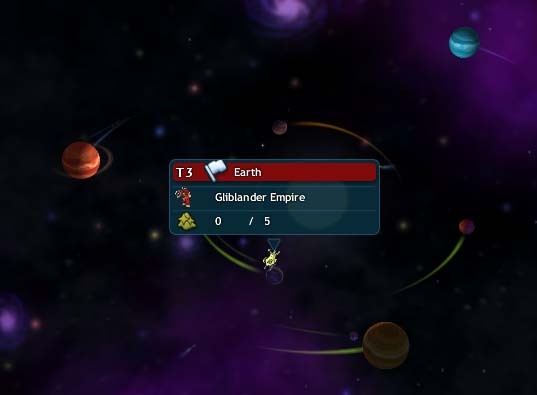 During the game, you’ll help a species progress from being a tiny plankton-like creature living in a drop of water all the way up to being a galactic empire spanning many star systems. 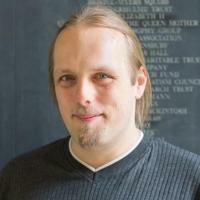 The concept of “evolution” touted in the game isn’t really accurate, though, and what you’re actually doing – tweaking your species a little each generation towards your own goals, rather than having the most successful genetic code reflected in the next generation – is closer to intelligent design than anything that any evolutionist would approve of. Unfortunately, as its Zero Puncuation review gives away, most of the fun of the game is shunted towards the Space Phase, the last of the five phases of the game (the others being Cell, Creature, Tribal, and Civilization), and it makes the rest of the game seem a little short by comparison (note that I disagree with the statement in the Zero Puncuation review about carnivore-superiority: my first space-faring race had no problem with befriending and converting other creatures, tribes and civilizations all the way). The Space stage, however, really shines. Spore is an amazing achievement, and it’s continues to be fresh and surprising to play (thanks, in part, to the enormous scope of it’s in-game galaxy, but more thanks to the fact that Spore “swaps” your creatures and other content with other players around the world), so I’d recommend you give it a go if you haven’t already. It’s a real shame that the DRM is so fucked-up, because Maxis have just set themselves up for Spore to be the most-pirated game in history (after all, the pirated copy is now better than the legitimate one). Nonetheless, it’s worth getting hold of a copy by one means or another just so you can see what the fuss is all about. 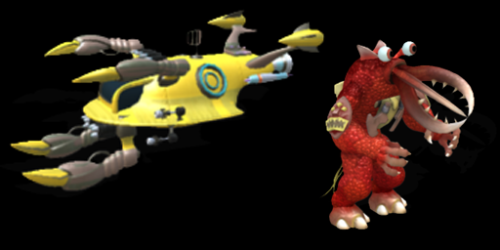 Oh, and here’s one of my species, a Gliblander, stood next to the species’ interstellar spacecraft, the Dirty Beast.